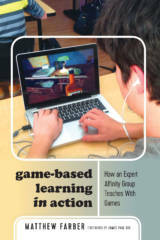 Adapted from Game-Based Learning in Action: How an Expert Affinity Group Teaches with Games by Matthew Farber published by Peter Lang. Professor Karen Schrier, Founding Director of the Games & Emerging Media program at Marist College, developed the Ethics, Practice, and Implementation Categorization (EPIC) Framework in 2015 for the use of use video games in ethics education, proposing seven educational goals, and 12 strategies for ethics games. For example, the video game Journey can help students to convey emotion and perspective, while iCivics’ Argument Wars teaches the deliberation of real world issues. I thought about the different types of goals a teacher might have in trying to teach ethics. Goals might be building ethical awareness, enhancing character, or helping students practice reflection. I also looked at 12 different strategies that might be used in ethics education, things like role-play or modeling of behavior, simulating scenarios or issues. I used it to help teachers understand the appropriate game to meet their own goals and strategies. When considering a game to teach ethics, Schrier said one must consider what might be the best match for the teacher’s classroom. “The context and goals of the classroom need to be at the forefront,” said Schrier. You can’t just drop in [the US History game series] Mission US, or [the immigration game] The Migrant Trail without thinking through the kinds of strategies and goals you want to meet.” Educators must also play the game in advance and “think about the maturity of the students and the goals they have,” Schrier told me in 2016. 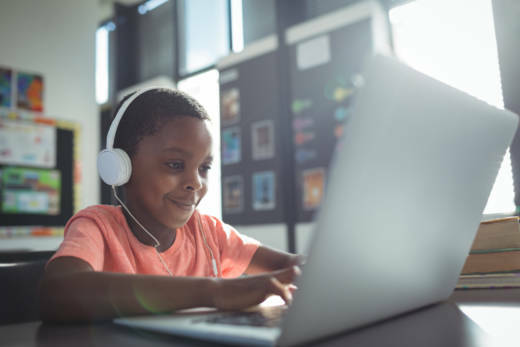 Members of The Tribe, an affinity group of game-based learning teachers, use games as a safe space for students to experiment with identity. Using Gone Home, Paul Darvasi (who also reports on game-based learning for MindShift) and Alexander Husøy’s students became the character Katie Greenbriar in a role-playing game as they explored an empty house filled with family secrets. Then they engaged students in discussions about a game’s mood and tone Through World of Warcraft, Peggy Sheehy asked her students about their hero’s journey through adolescence. Glen Irvin had his students learn Spanish by role-playing as businesspersons in Minecraft game and then reflected on the acquired learned vocabulary on his Schoology page. 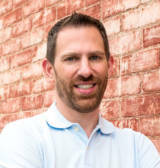 Matthew Farber, Ed.D. is an assistant professor of Technology, Innovation, and Pedagogy at the University of Northern Colorado. With Karen Schrier, he co-authored the UNESCO MGIEP working paper, The Limits and Strengths of Using Digital Games as “Empathy Machines.” He is also the author of Gamify Your Classroom: A Field Guide to Game-Based Learning — Revised Edition, and Game-Based Learning in Action: How an Expert Affinity Group Teaches with Games.